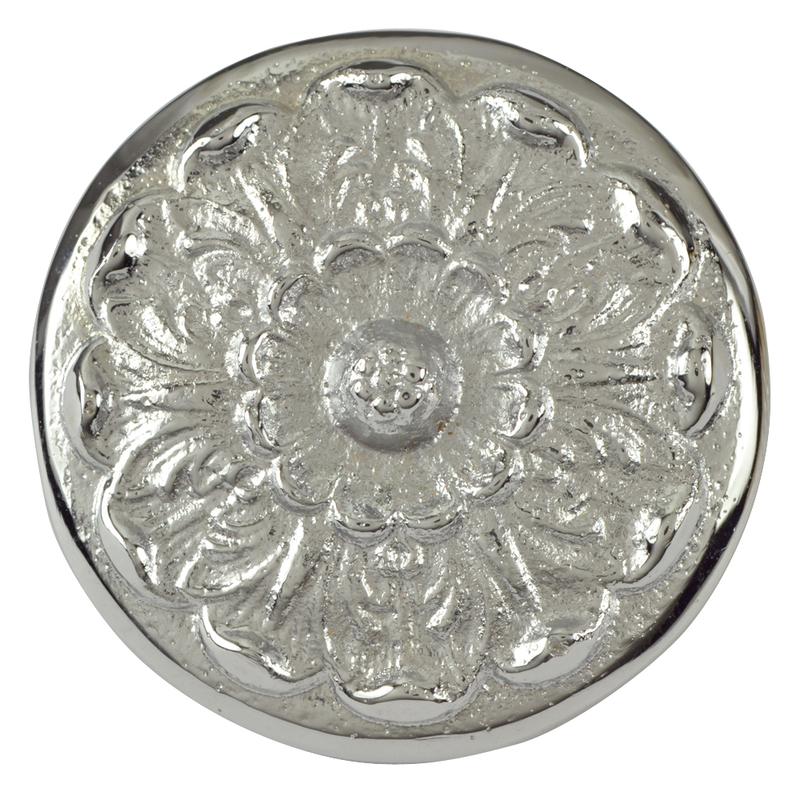 2 Inch Solid Brass Floral Knob (Polished Chrome Finish). This knob measures 2 inches in diameter with a projection of 1 inch (approximate). Comes complete with the mounting hardware. Available in Polished Chrome, Brushed Nickel and Polished Nickel.